February 2019 ABE Gives Back! ABE GSA philanthropy hosted another successful event in January: we went to Hanna community center to help kids with their homework for their after-school program, ages ranging from kindergarten through 5th grade. Topics ranged from spelling, early reading and shape identification to improper fractions and developing acrostics based on the main idea of a story. This was the second time we have partnered with Hanna (previously in October of 2018), and the kids were just as excited for our help as before! Indiana AgrAbility presented an exhibit at the 2019 Illiana Vegetable Growers Symposium at Teibel’s Restaurant in Schererville, Indiana. 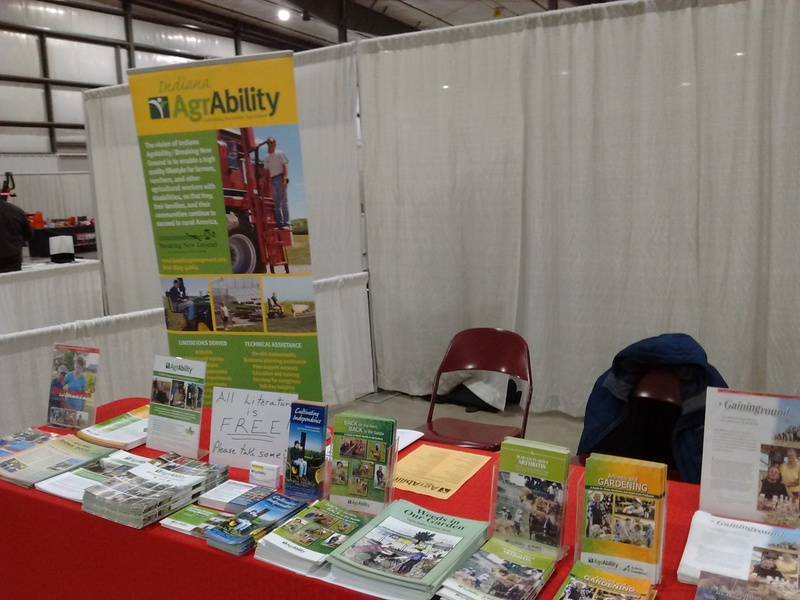 The exhibit included an AgrAbility popup, Indiana AgrAbility brochures, state and regional AgrAbility project contacts, arthritis publications, and contact information for Indiana Vocational Rehabilitation Services. During the morning break, each exhibitor had the opportunity to go before the attendees and talk about their programs and services. Steve Swain emphasized the arthritis publications and services available. Steve Swain, Indiana AgrAbility rural rehabilitation specialist, conducted an in-service training for the therapists at the Rehabilitation Hospital of Indiana. RHI is a project partner of Indiana AgrAbility and a source of referrals of the more catastrophic injuries incurred by Indiana farmers. The training included the services, publications available, and examples of rural assistive technology for the farm. Indiana AgrAbility presented an exhibit at the 2019 Fort Wayne Farm Show at the Allen County War Memorial Coliseum in Fort Wayne, Indiana. Staff and volunteers staffed the display for the three-day show. The exhibit included a John Deere tractor with a Life Essentials lift, an Action Track power wheelchair, an AgrAbility popup, AgrAbility brochures and publications. Indiana AgrAbility would like to thank Ned Stoller, Michigan AgrAbility staff member (and alum), for staffing the display on the first day of the show. 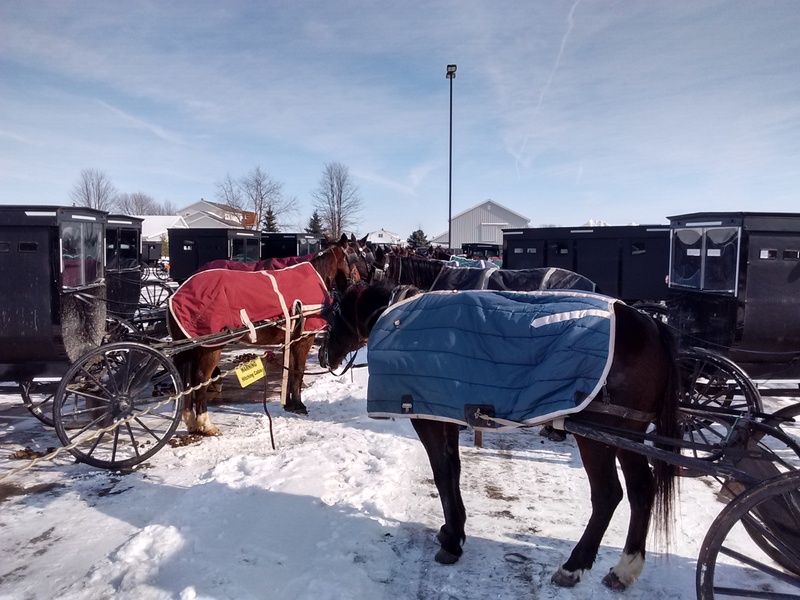 Chuck Baldwin, Breaking New Ground (BNG)/Indiana AgrAbility project coordinator, and Steve Etheridge, retired VR counselor and BNG and National AgrAbility Project advisor, attended the Northern Indiana Grazing Conference in Shipshewana, Indiana, February 1-2, 2019. The event offered an atmosphere of hospitality and welcome for attendees and vendors alike. Light breakfast and a full lunch were served as part of the activities. 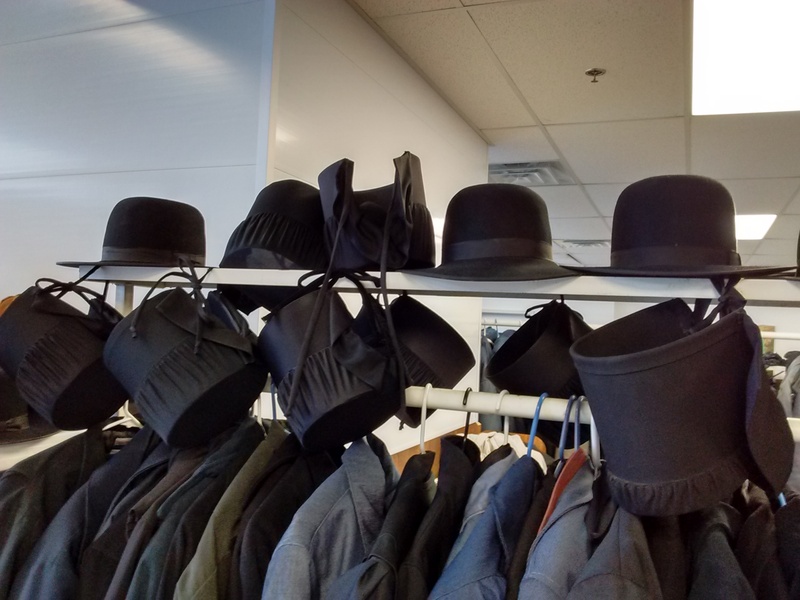 The majority of attendees (between 800-1,000 were expected to attend) at the conference were Amish families. Breaking New Ground, the Indiana AgrAbility Project, was able to engage and provide information to many of those attending. The farm safety themed coloring book, "Weeds in Our Garden" was the most popular item distributed to families. Other popular information items were the AgrAbility brochure, Arthritis and Gardening, Arthritis and Agriculture, and 25 Years - 25 Stories. Good contacts were made along with valuable networking that took place between AgrAbility personnel and other vendors/exhibitors. From January 14th-17th, a group of graduate students from the Maha Fluid Power Research Center had the privilege of manning a booth at the 2019 North America Auto Show in Detroit. Visitors were treated to an overview of the Center’s broad simulation capabilities, spanning various types of hydraulic pumps and motors e.g. external gear machines, gerotors, vane pumps, and axial piston machines. Also on display was the experimental work being done in the Maha semi-anechoic sound chamber, where a novel robot arm collects microphone measurements across a spherically-shaped grid in order to capture the sound field around an axial piston machine. The measurements made have allowed for new insight into the noise emission of these machines, which is of great import as noise continues to be a major concern for hydraulic systems and within the automotive industry. Lastly, the Automobili-D 2019 event booth exhibited information on multiple test rigs at the Center aimed at improving the efficiency of, and reducing the vibrations associated with, hydraulic systems in construction, agriculture, etc. Beyond the information available, the booth contained the actual, competition-winning hydraulically powered bicycle designed at Maha for the 2017 NFPA Fluid Power Vehicle Challenge. The Maha Fluid Power Research Center would like to thank Magna Powertrain for sponsoring this amazing opportunity to present its work to the automotive industry. On January 25th, Ryan Jenkins successfully defended his Ph.D. on the analysis, simulation and testing of a vane pump control system for automotive applications. After testing a sponsor-provided control architecture, Jenkins developed a novel electrohydraulic pressure compensated control system, as well as a lumped parameter vane pump model that enables the simulation of this new control system’s performance. The novel control system shows a significant reduction in response time from the original system when fed a reference pressure step congratulations Dr. Jenkins on your successful project and your new degree! Professor Emeritus Gary Krutz continues to enjoy his well-earned retirement. Nice 6# bass, Dr. K! Remind us to send you an ABE cap so you can better represent! Barb Davies has "un-retired", at least temporarily. You will find her friendly face and helpful attitude in the main office for the time being. Stop in and welcome her back! Congratulations to Yvonne Hardebeck; she didn't make the Purdue University Global Dean's List this term - she made the CHANCELLLOR'S List! 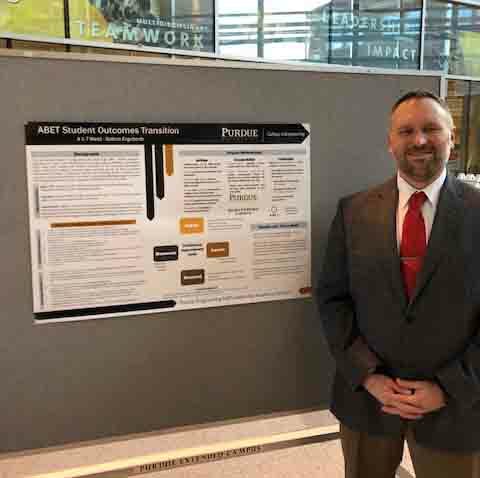 Nate Engelberth is part of the first PESLA cohort and presented his project, "ABET Student Outcomes Transition" at the poster session on Monday, January 28. A team of students led by ABE’s Dr. Bob Stwalley and graduate student, Tyler Field, is building an operational, 20% scale, R-9 Wasp, Jr. aircraft engine from scratch at the Purdue University Bechtel Innovation Design Center. The full-size model of this air-cooled radial engine powered such famous aircraft as the Lockheed Electra, Beechcraft Model 18, Grumman Goose, Vultee Valiant, and North American Texan prior to and during the Second World War. The team has modified the design of this engine into a fully modifiable test unit capable of variation in piston diameter, compression ratio, and valve diameter. Once operational, this engine in its nominal condition is expected to output between 5 to 7 hp, enough to propel a modest sized working drone capable of spot-spraying a field or dusting crops. 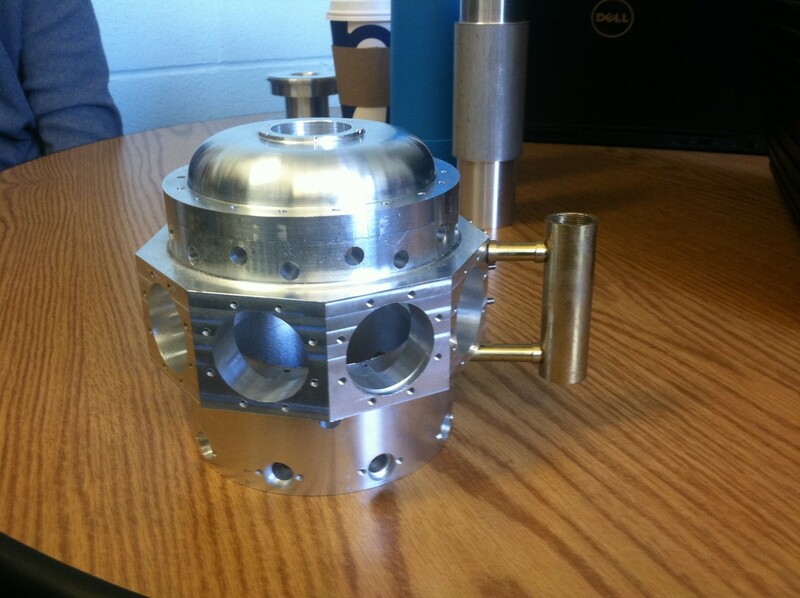 However instead of pulling a working drone through the air, this custom-machined engine will be heading for a water brake dynamometer at the ADM building, where students will use the unit to investigate how key specific design dimensions modify the projected engine’s output. 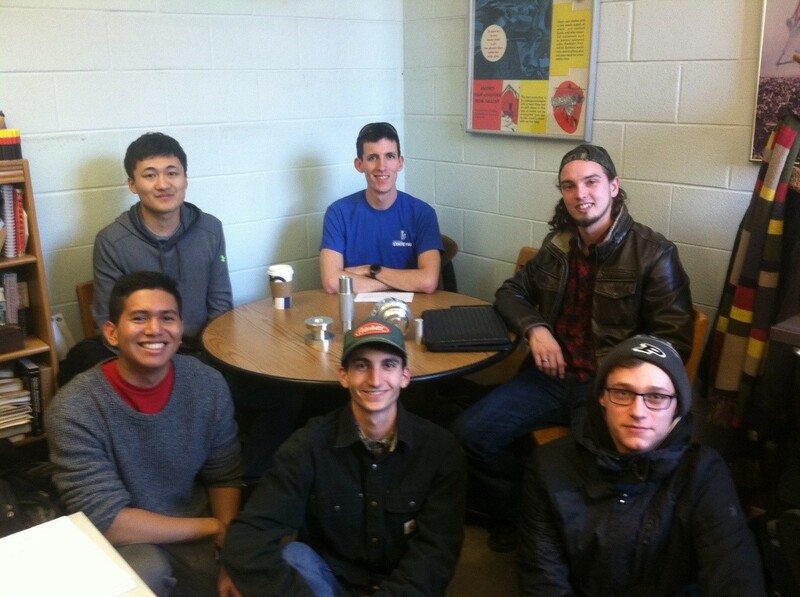 The current group of students are continuing the work of three earlier teams that have contributed multiple man-semester’s worth of effort to the project. The crankcase housing shown at left is ready to accept the crank, connecting rods, pistons, and cylinder liners. Students are hoping to have the unique engine fully assembled and ready to fire by the end of the spring semester. 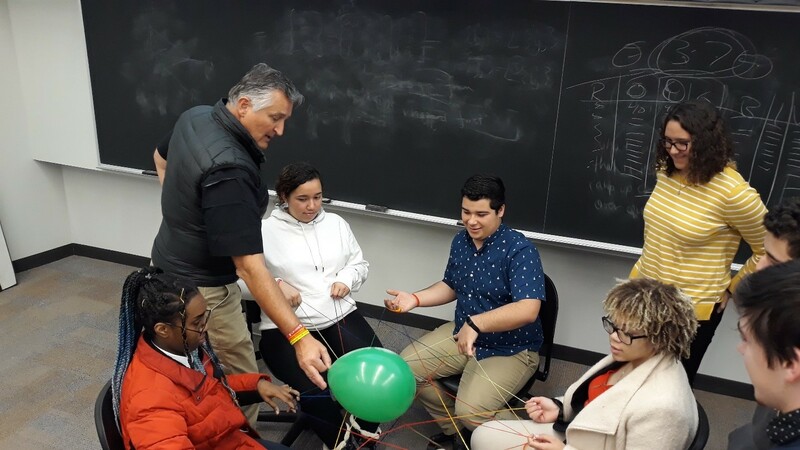 The Purdue Rising Scholar program is an NSF S-STEM research grant program aimed at studying and assisting qualified traditional students from low socio-economic status backgrounds throughout what is overwhelmingly a first generation higher education experience. This program is led by ABE’s Dr. Bob Stwalley and jointly sponsored by ABE and the Minority Engineering Program. One of the central pillars of the program is teaching students to enhance their professional relationships and learn how to build robust and thick support networks. Mr. Derek Peterson, creator of the ‘Web of Support’ system of student mentoring, was on campus January 19 to provide an instructional seminar to the second class of first-year Rising Scholars. This group of students began higher education this past fall in Exploratory Studies, hoping to transition into an engineering field. Mr. Peterson teaches the concept of purposeful mentoring, training students to take an active role in seeking and acquiring mentor/mentee relationships. Following the afternoon-long training session, the group adjourned to the Stwalley household for a home-cooked meal and conversation around the students’ new collegiate experiences. Dr. Derek Peterson provides a practical example of how a "thick" web of support catches and holds students within a nurturing and positive environment.